Enjoy a day on the lake and leave all the work to a Lake Kabetogama fishing guide! He will take you out for a enjoyable day on the lake and all you need to bring is your fishing pole. All lakes are different and the guides’ years of experience will help you learn which spots, baits, and techniques are working best for the time of year you are here. 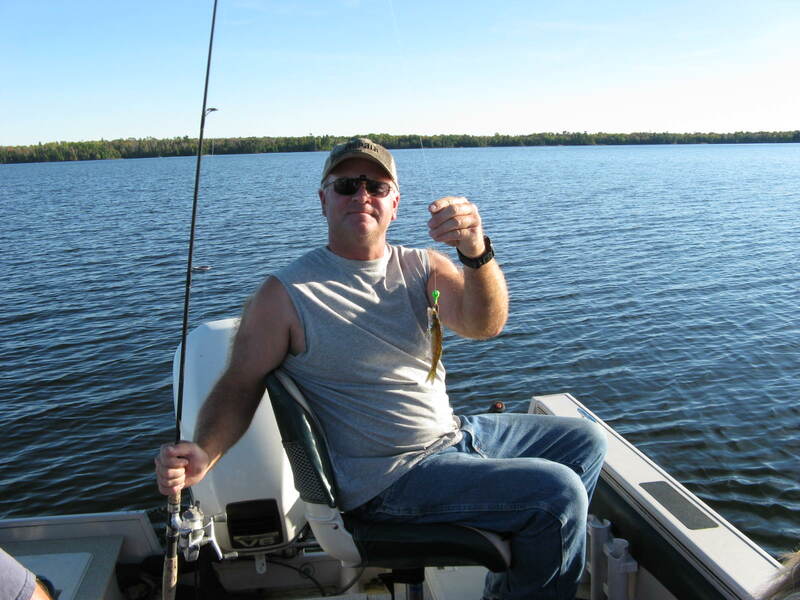 Guests often book a guide trip to help familiarize themselves with the lake and fishing strategies. Some guests totally pamper themselves by booking multiple days of guiding in one week. By booking a Sunday, Tuesday and Thursday you can leave days in between to relax, swim, hike, or fish the lake in your own boat. Multiple day guide trips also work well for parties that don’t own a boat or just want to leave theirs at home. Just come, relax and enjoy the scenic beauty of our area and leave the worries of where to fish, how to get there, and what to use to us. Half day and full day trips are available. Guide trips can be booked when you arrive, but it is best to book guide trips with your reservation or before your arrival date. Lake Kabetogama fishing guides will also do trips on Namakan Lake and Rainy Lake. Lee Herseth is a licensed Voyageurs National Park guide and will provide the service himself or hire another licensed guide for your trip. We can also hire multiple guides for big groups. Ask for details and current prices.